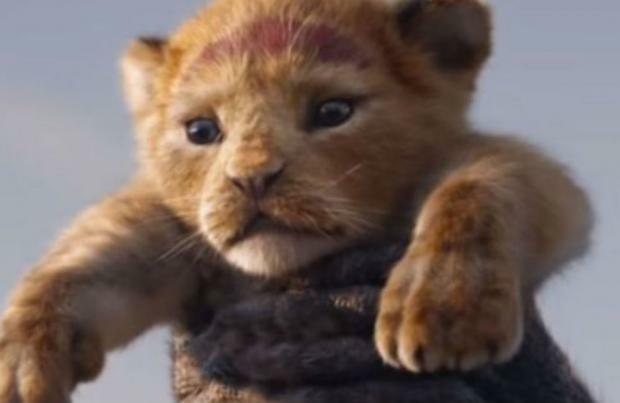 Disney has released the first trailer for its live-action 'Lion King' remake. The teaser of the Jon Favreau-directed movie has been posted on Disney's official Twitter page and has already attracted more than 18 million views. The visually spectacular trailer opens with a rising sun and follows various animals rushing across sun-scorched ground to greet Simba. The eagerly awaited film – which is a remake of the 1994 hit – boasts a star-studded cast that includes the likes of Donald Glover as a young Simba, as well as Beyonce as Nala and James Earl Jones. Elsewhere, British comedian John Oliver will provide the voice of Zazu – who serves as Mufasa's loyal chief steward – in the live-action remake. As well as keeping Sir Elton John and Tim Rice's original songs in the upcoming film – which include 'Can You Feel The Love Tonight', 'Be Prepared' and 'I Just Can't Wait To Be King' – the remake will also feature some new tunes. 'Can You Feel the Love Tonight' actually won the Best Original Song accolade at the Academy Awards. Disney has released a string of remakes as of late, including 'Cinderella' and 'Beauty and the Beast', and the live-action 'The Lion King' is already one of the company's most eagerly anticipated projects in recent years.